I Did A Bad Thing…. ….I bought a book brand new. From a supermarket. And what’s worse, it was this book. But is was calling me! I always walk past the book bit for a browse, because shopping is stressful and sometimes you need a little comfort break, but I have tried very hard to make it my policy not to buy, libraries and independent book shops are in enough trouble with the amazing cheapness and variety in charity shops, never mind the plethora of pop up libraries, including my own, that are saturating the book market. However, this pink sparkling embossed gem has been reaching out for me over the past week, and on Friday, and could resist it’s allure no more. At 2-for-£7 (other one was Prophecy, the second in the Giodana Bruno mysteries by SJ Parris, Shardlake’s poor cousin a great for the train. I enjoyed Heresy immensely for what it was, history-trash, and I shall look forward to Prophecy after I’ve dragged my way through re-reading Great Gatsby for book club) it was a bargain, let me tell you. The story itself focuses on the plight of 17 year old Vicky, a traveller living on a settled trailer park with her large traditionally minded family. Vicky, unlike the rest of the travellors, or at least the two we get to meet in this brief overview of a complex culture, has other things on her mind apart from getting married and having babies, even though she has been engaged for the last two years to gorgeous boy-next-door Liam. She wants to go to college, and is curious about the gorgio way of life. Over the course of a year, Vicky learns some harsh lessons about the ‘outside’ world. She is bullied horribly at college as soon as her back ground comes out, she is assaulted by a boy after getting her drunk, and she almost gets cut off from her family after they find out she has been going against their traditional values, which include never being aloud to be alone with any male, never earning her own money, as this shames her future husband as a slight on his manhood, and never drinking or smoking. This is a YA book that has been put in the adult section because Gypsy’s a ‘in’. 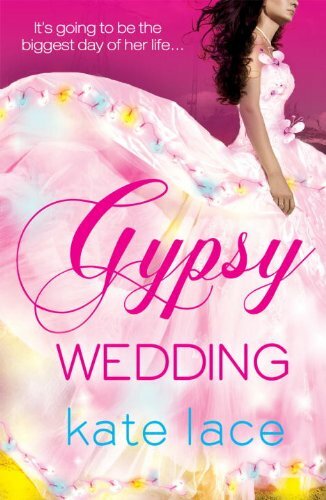 Like many people, I was gripped by the documentary series on traveller weddings, and in fact the front cover is an exact replica of one of the dresses worn my the girl’s in that series. This book taught me nothing extra about the way of life of the travellers that I hadn’t learnt from the series, however it did try to see what the girl’s lives were like rather than being a freak show of puff ball skirts and sexual assault. Parts of the culture, the ‘grabbing’ especially, still made my oh so cultured Western eyes wince, but as a grown woman I can see teenage boys twisting teenage girl’s arms until they let them have a kiss and call it assault-I was ‘letting’ them do a hell of a lot worse when I 15. The book took me about five hours to read, and I enjoyed every second. I am definitely getting a copy in for work. And if you’ve ever used the word ‘pikey’ or ‘gyppo’ I strongly recommended reconsidering your vocabulary. This book made me consider my privilege, and working in FE how I treat the students. So yes I did buy it from a supermarket, and yes its easy to read, silly, not massively informing trash, but that doesn’t mean I didn’t have a cracking evening laying on the sofa reading it. Recommended.